Men Swap Lives With Women - This Video Is AWESOME!! If you ever watch a Bollywood interview or talk show, you'll notice that the male actor is almost always asked more questions about their career and roles, and the female actors about their stylists, diets and personal love lives. We've all become so accustomed to this that we hardly even notice it sometimes now - which is, of course, a shame in itself! It's just another day when an actress has a "cat fight", right? So, here's SnG Comedy, with an amazing video that'll open up your eyes once again. In the video, they show exactly what would happen if the roles in Bollywood were completely reversed! This one brings to surface exactly how much sexism exists in Bollywood and why it's totally absurd - it's a MUST watch! PLUS: Subscribe to POPxo on YouTube for original videos + our favourite videos from around the web! 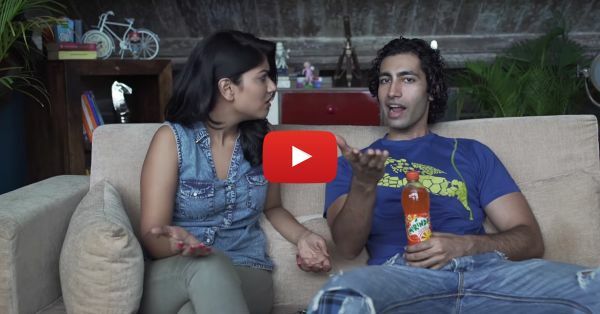 MUST-READ: If Bollywood Scenes Were “Real”… This Video Is The Funniest!! MUST-READ: Is This Parody Of Adele’s Hello Better Than The Original? !